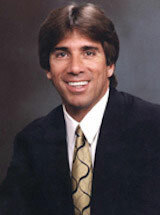 Randy C. Botwinick has been self-employed in private practice, specializing in personal injury law for over 32 years. You can trust Mr. Botwinick’s firm’s extensive trial experience while feeling confident that he will treat you with the respect you deserve. It is only through careful listening that lawyers become counselors and trusted advisors. Service is the cornerstone of the practice of law and he strives to serve his clients with professionalism and expertise. The firm makes every effort to provide their clients with sound legal advice of the highest standard. Mr. Botwinick has extensive experience in litigating personal injury cases and is a published author in the field of proving personal injury damages. Mr. Botwinick looks forward to meeting with you and resolving your legal issues with honor, integrity, and success. Have you been in a accident? If you’re involved in an automobile accident, the first thing you should do is call 911. If possible, collect as much information as you can. Try to get the names and addresses of everyone involved including license plate numbers and insurance company information. If there are witnesses, get their names, addresses and phone numbers. Try to notify your insurance company of the accident within 24 hours. Do not provide them with a statement of any kind, recorded or unrecorded if you are considering hiring an attorney. Remember, whatever you say to an insurance company may be used against you in the future. If your injury is the result of a slip & fall, trip & fall, dog bite or other accident due to the negligence of others, get medical attention as soon as possible. If your injury occurred on someone else’s property, notify the property owner or management right away. You should insist on filling out an accident report. Make sure to ask for the name and phone numbers of any witnesses. Remember, witnesses are crucial to a personal injury claim. If you sustained injuries in the accident, you should seek medical attention immediately. Regardless of the health care provided you see, it is important to notify them that you injuries are the result of an accident. Make sure to adhere to your doctor’s advice when it comes to medications, bed rest and follow-up care. Always seek the advice of an attorney prior to giving statements to insurance companies or signing any legal papers. If your injuries were related to an automobile accident, your insurance company will be responsible for paying your medical expenses until such time as those benefits are exhausted. Thereafter, your health insurance carrier may be used to pay for medical bills. Some providers will agree to have you and your attorney sign a “Letter of Protection” which stipulates that the doctor or provider will be paid out of the settlement proceeds. If you injuries are not related to a car accident, either your health insurance or a Letter of Protection will pay for your medical bills. Remember, a personal injury settlement should include compensation for pain, suffering, loss of wages, necessity for future medical care, and medical expenses. Therefore, although the responsible party should pay for your medical care, the settlement proceeds will not be available until the conclusion of your case. Randy Botwinick successfully represented me as a passenger injured on a cruise ship. Randy is serious and specializes in cruise ship lawsuits. The cruise lines know that he means business. I was quite pleased with the outcome. Mr. Botwinick settled my car accident case in a very professional manner and got me more money than I was expecting. I would truly recommend The Law Offices of Randy Botwinick to anyone who asked me to refer a personal injury attorney. My daughter got hurt at school during recess because of the teacher’s lack of supervision. She broke her leg and was in a cast for quite some time. I was very upset at the school and wanted them held accountable. Fortunately I found the right lawyer to do just that. The Law Offices of Randy Botwinick took the case and did an outstanding job. They definitely made the school board pay. I was involved in a car accident last year. It was just horrible. I called a New York lawyer friend who referred me to Mr. Botwinick. After several months of therapy, I feel better. Mr. Botwinick was also able to settle my case with the insurance company. Overall, I am very happy with his office and the way he handled my case. I had a trip and fall accident at a restaurant in Sunny Isles Beach. Randy Botwinick handled the case from beginning to end. He was always available when I had questions. He was honest throughout the entire process. Thankfully, he settled my case and made the process as smooth as possible. I am forever grateful!